Sterlite Copper hopes to restart its copper smelter in southern Indian city Tuticorin and still wants to double its capacity despite protests demanding its closure that killed 13 people this week. 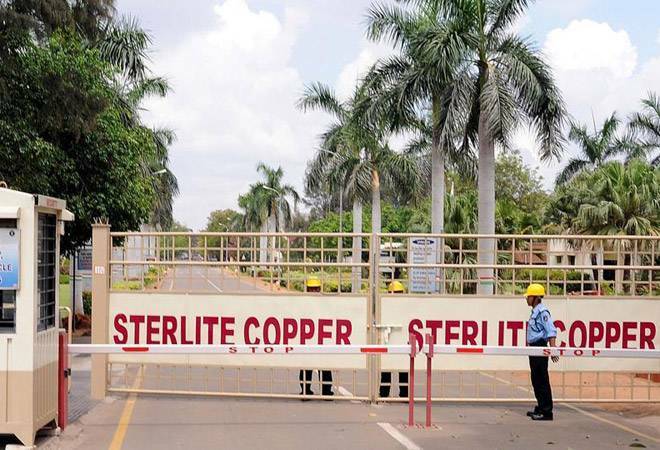 London-listed Vedanta Resources hopes to restart its Sterlite Copper smelter in southern Indian city Tuticorin and still wants to double its capacity despite protests demanding its closure that killed 13 people this week, a company executive told Reuters on Friday. The company's position comes a day after the state of Tamil Nadu, where the smelter is located, said it was seeking a permanent closure of the plant due to allegations that it pollutes the air and water of the locality. "We're not in that stage to look at setting up a plant elsewhere," P Ramnath, chief executive of Sterlite Copper, said in an interview. The plant, in the coastal city of Thoothukudi, has been shut since late March for maintenance and pending a renewal of its license, even as locals continued largely peaceful protests demanding its permanent shutdown. Ramnath said the smelter suffered from a "perception" that it was the most polluting industry in Thoothukudi because of its size, and that support of the local community would be important to restart the plant and double its capacity as suggested by Vedanta's billionaire chairman Anil Agarwal. "Our chairman has said that we need the license to operate, but also we need to build bridges with the local community so that we get their license to operate as well," he said. "But at this point of time the atmosphere is very tense, temperatures are high." The Tamil Nadu Pollution Control Board cut the power to the smelter on Thursday, saying that last week it found the company preparing to resume production without permission. Ramnath denied the allegation. "There was no reason for making preparations to restart the plant when we are still under maintenance that happens once in four years," he said. Around 250,000 tonnes of the output is consumed locally, making up for 36 percent of India's demand. The rest is exported to countries such as China. Vedanta wants to double the smelter's capacity mainly to meet India's rising copper demand, which Ramnath expects to grow by up to 10 per cent annually. The expansion would, however, be delayed from its earlier completion target of late 2019.